Startup item list refer to programs that automatically load during Windows start. 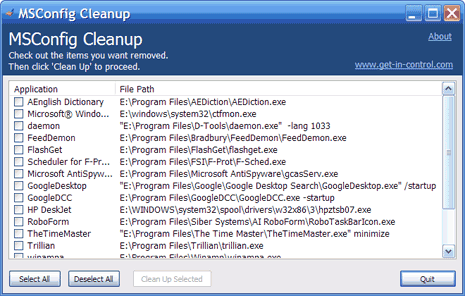 Using MSConfig utility we can view the list such items or programs (Goto Start > Run, type msconfig and click OK). It allows us to enable or disable any item in the list of startup programs. We can disable item programs in list but it does not provide option to delete / remove them.